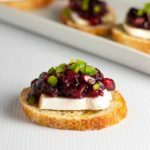 These Cranberry Jalapeño Brie Crostini Appetizers add a festive touch to your party and they’re a great way to use leftover cranberry sauce! 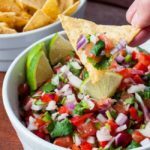 They’re red and green, they sparkle with little pomegranate jewels and they can be on your appetizer platter in just a few minutes. 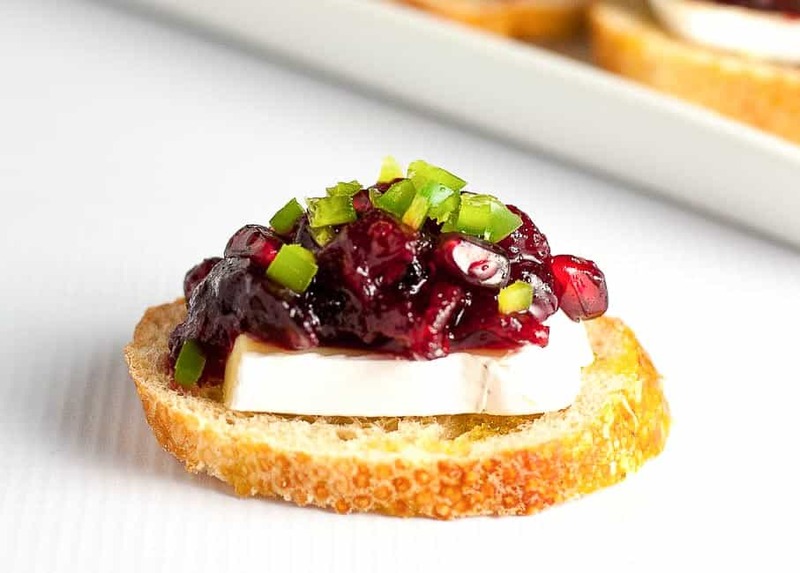 These Cranberry Jalapeño Brie Crostini are small bites of rich, creamy Brie cheese topped with a mix of cranberry sauce and pomegranate seeds and showered with some finely minced jalapeño peppers. 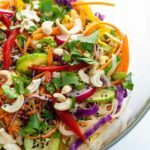 They’re slightly sweet, slightly tart, and slightly spicy all at the same time. And they’re absolutely delicious. 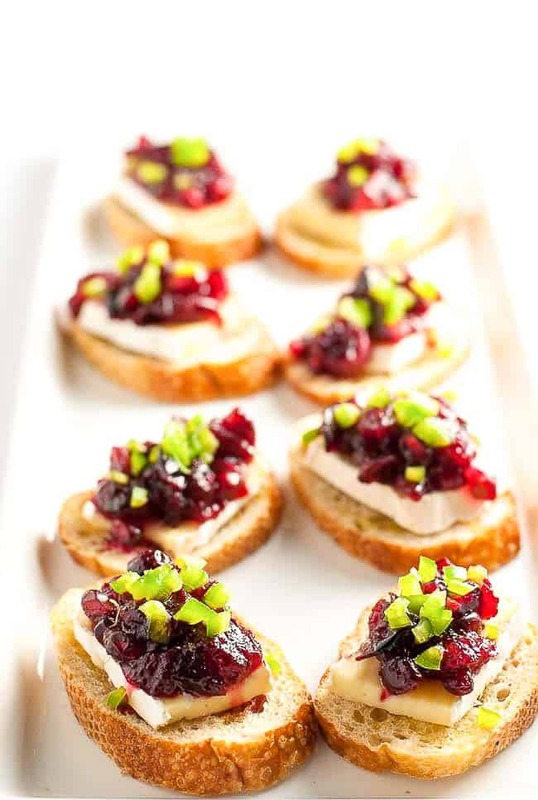 Not only that, but making these crostini appetizers is a great way to use up leftover homemade cranberry sauce, if you haven’t already slathered it inside your cold turkey sandwiches. 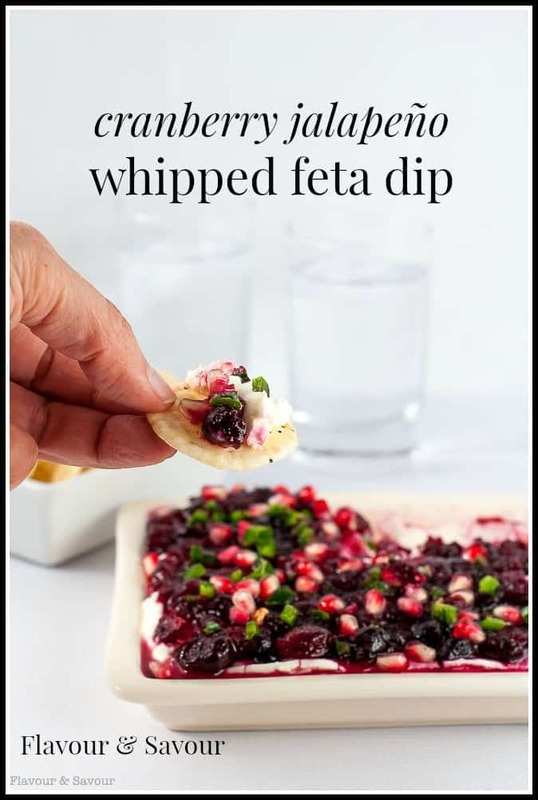 I make these appetizers with my Spiced Cranberry Orange Sauce with Triple Sec because the hints of cinnamon and orange really add a lot of flavour to these little bites. Crostini appetizers are always popular at our dinner parties and I make them often. Check out my post on 5 Tips for Making Crostini to avoid some of the common pitfalls and problems. 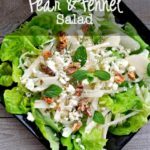 For more crostini recipes, check my Recipe Index here. 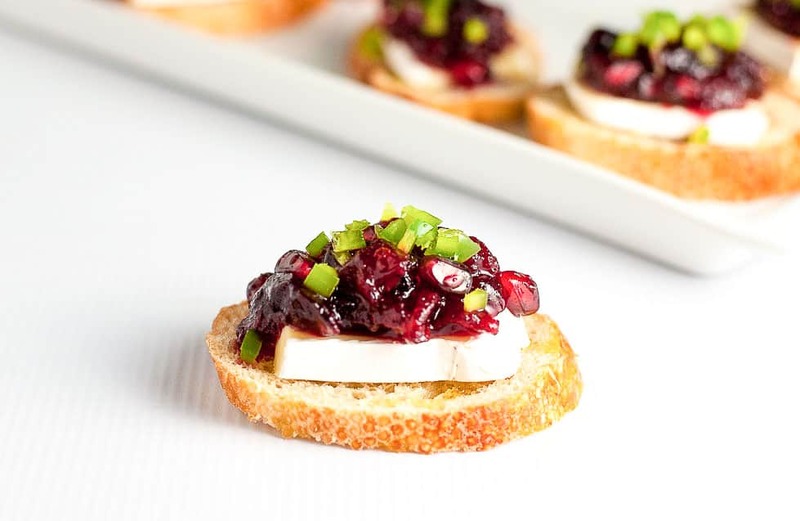 These Cranberry Jalapeño Brie Crostini Appetizers add a festive touch to your party and they're a great way to use leftover cranberry sauce! Use a sharp knife to slice a fresh baguette into 1/2 inch thick slices. Cut slightly on the diagonal. 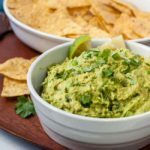 Brush lightly with olive oil and sprinkle with salt and pepper. Space on a baking sheet and place in pre-heated oven. Bake for 7 - 8 minutes or until golden brown, flipping once halfway through. Crostini should be lightly browned, lightly toasted but still "springy" in the middle. Mix the cranberry sauce and the pomegranate seeds together. 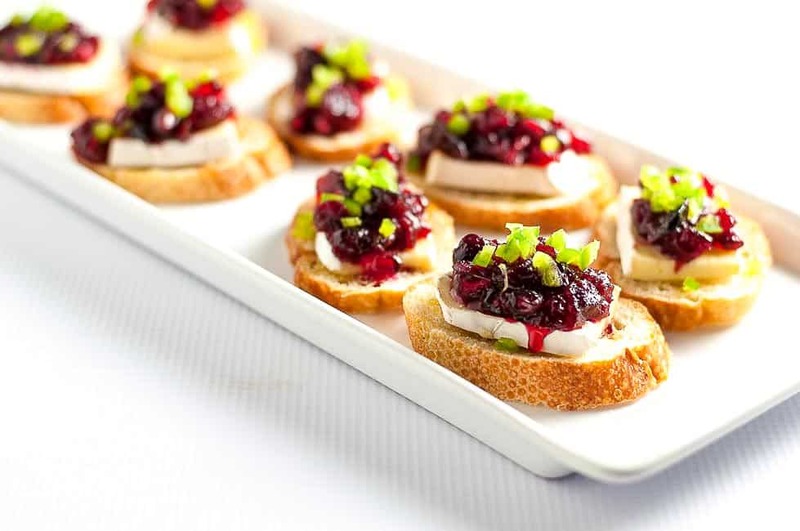 Top each crostini with a slice of Brie, a small spoonful of cranberry-pomegranate mixture and garnish with a sprinkle of minced jalapeño peppers.